Iron Sport has built a reputation as one of the finest gyms in the country, if not the world, but I know that not everyone is in a position to visit our facility. 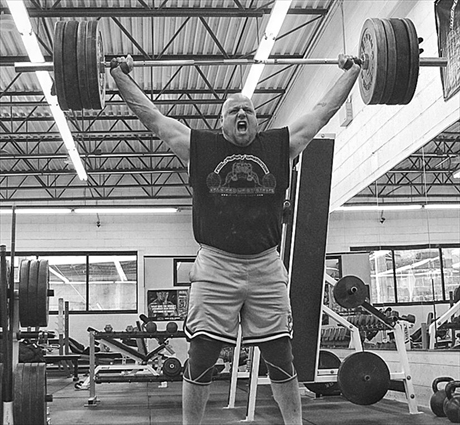 It occurred to me that a simple way to help many serious lifters is by sharing some of the workouts and training methods that we use here at Iron Sport. I’ve been training athletes for decades and training myself for even longer and have many things to share. If you can’t make it out to Pennsylvania, at least you’ll be able to have a little piece of Iron Sport in your own gym or weight room. For the following program, my goal is to provide you with all the important details that I can think of and erase any confusion so that you can put all your efforts into your training and not end up frustrated over not knowing what to do. If you are truly serious, I’m going to just come right out and say that the best option would be to come and train with me at Iron Sport but if that isn’t possible, this workout will be the next best thing.